The 4WD track at Mt Huxley, Queenstown Tasmania offers an excellent 4WD adventure on Tassie's rugged West Coast, near the famous town of Queenstown. Along this track you will get to see beautiful scenes of Tasmania's famous workd heritage aeas and Lake Burbury and surrounding mountains. This track has a power line that runs from Queenstown to the King River Gorge. This track is rated hard becuase the end section is steep and rocky. The Mt Huxley 4WD Track Queenstown Tasmania offers great views of Queenstown, Lake Burbury and the surrounding mountains in Tassie’s world heritage forests. The return trip from Queenstown takes app. 2.5 hours to complete. 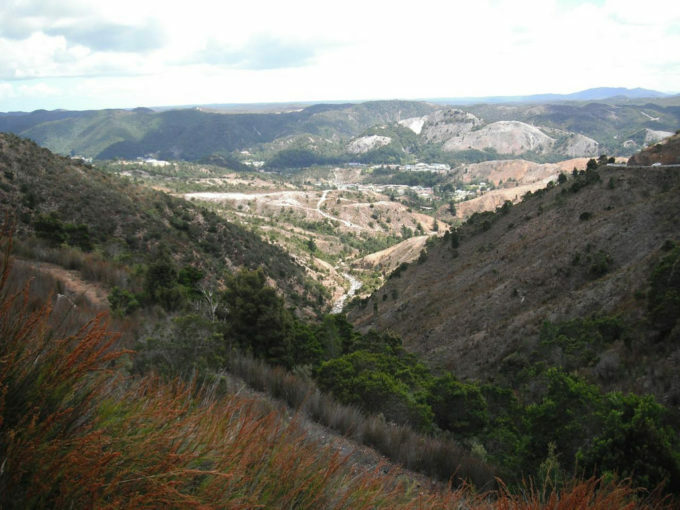 The track leaves Mt Jukes Road opposite the golf course and runs south-easterly for 12+ kilometres, skirting the northern and eastern slopes of Mt Huxley. Approximately 5 kms along the track a gravel road, which services power lines, is worth a side trip to explore the area. The Mt Huxley track is rated hard 4WD because of the steep, rocky terrain at the summit end you will encounter steep, rocky terrain at the the end of the track. You will encounter slopes on the side of the track that are steep, take care with 4WD vehicles fitted will fully loaded roof racks. This track should not be attempted by yourself – travel in convoy with at least another vehicle noting that the final section of the track is difficult to traverse.